Ships need to be built to high standards and operated safely in order to prevent accidents which could pollute the seas and present a risk to life at sea. It is also important to make sure that people working on board ships don’t do anything that could cause pollution in the sea. This could happen when they are unloading or loading oil onto a ship, or even throwing waste overboard when the ship is at sea. 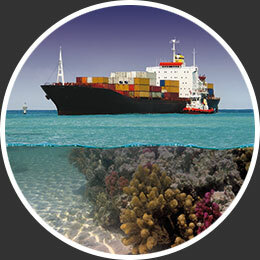 IMO has regulations that say that incidents of pollution from a ship must be reported to the nearest authority ashore. Unfortunately, accidents at sea can and do happen. If they do, there must be plans in place to deal with it quickly and efficiently. This is to make sure that people working on ships can be kept safe, and that the marine environment is kept as free from pollution as possible. IMO regulations say that ships must be designed and constructed so that they protect their crew and cargo in the event of an accident. The crew should be trained so they know what to do if there is an emergency. And they must be able to use the life jackets and life boats or life rafts that are on ships to help save their lives. IMO regulations also say that countries that have sea around them should have plans in case there is any oil pollution or oil spill from a ship. These are called oil-spill response plans. And ships that carry oil as cargo or for fuel must have a shipboard oil pollution emergency plan. Ships that transport chemicals must have a shipboard marine pollution emergency plan. These plans say what the crew should do in an emergency. IMO has worked with governments of lots of countries to make sure they have good plans for how to deal with oil and chemical spills if they happen. Fortunately, because of all of this, the number of accidents involving oil carried on board ships has decreased considerably over the past decades, and the amount of oil spilled has fallen dramatically. Investigate what happens when oil and water are mixed together. You could have a go at this science experiment to understand why it is so difficult to clean an oil spill.